Want to make your website faster? Using a content delivery network (CDN) will bring remarkable speed improvements to your website. CDN77 is an excellent content delivery network. They’re a customer-centric, performance-focused company that continually enhances their service through the rapid and early adoption of cutting-edge features. For example, right now, not a lot of CDNs support Brotli — a Google-led compression format that reduces file sizes 22% better than gzip. CDN77 recently implemented Brotli compression support, which means faster file transfers for users on their CDN. CDN77 offers you a ton of features at a cost-effective price point. That’s probably one of the biggest reasons why over 19,500 websites rely on them. I’ll talk about the top 5 things I like most about CDN77. 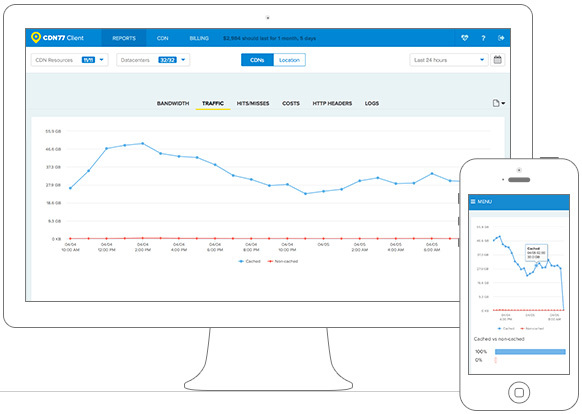 CDN77?s control panel is super intuitive, so analyzing your traffic stats and performance reports, and managing your account is a breeze with their user interface. Using CDN77 can be as easy as installing a plugin. If you’re on WordPress, you have several plugin options such as W3 Total Cache, ZenCache, etc. Learn more here. The newest version of the Web’s standard data-transfer protocol, HTTP/2, is already enabled on CDN77. HTTP/2, according to my test results on http2demo.io, is 63% faster than HTTP. You might already know that HTTPS on your website is important for SEO because Google uses HTTPS as a ranking signal. 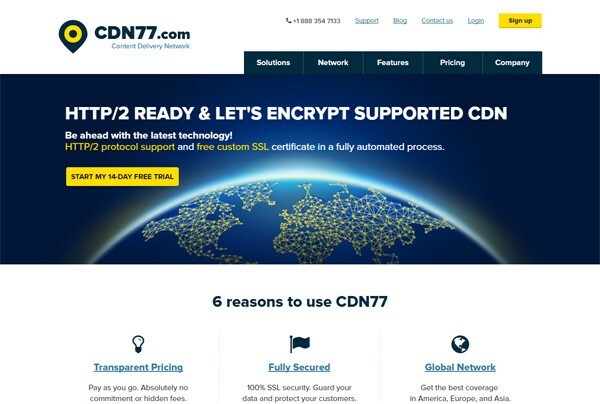 CDN77 will serve your content using HTTPS at no extra cost. CDN77 doesn’t have fixed monthly fees and hidden charges. You only pay for what you actually use. This means the cost scales proportionally to the traffic of your website. Head over to CDN77 to learn more about this excellent content delivery network. CDN77 gives you the opportunity to try them for free. No strings attached — no commitments, and no credit card required.